(CNN) — The Roman Catholic Church is cutting off funds to the community organizing group ACORN, citing complaints over its voter registration drives in the November 4 election as part of the reason. 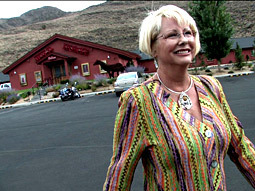 Authorities raid a Las Vegas, Nevada, ACORN office after allegations of voter fraud. The Catholic Campaign for Human Development froze its contributions to the group in June amid allegations that Dale Rathke, the brother of ACORN founder Wade Rathke, had embezzled nearly $1 million. This week, as the U.S. Conference of Catholic Bishops met in Baltimore, Maryland, the campaign’s chairman said it was cutting all ties with the group. “We simply had too many questions and concerns to permit further CCHD funding of ACORN groups,” Roger Morin, the auxiliary bishop of New Orleans, Louisiana, told his colleagues in a letter to the conference. The CCHD has donated more than $7.3 million to ACORN-related projects over the past decade, including $40,000 to an ACORN chapter in Las Vegas, Nevada, that was raided before the election in an investigation into fraudulent voter registration forms. Among other questionable documents, the ACORN chapter submitted registration forms for members of the Dallas Cowboys football team. ACORN contends it has tried to help head off election fraud. 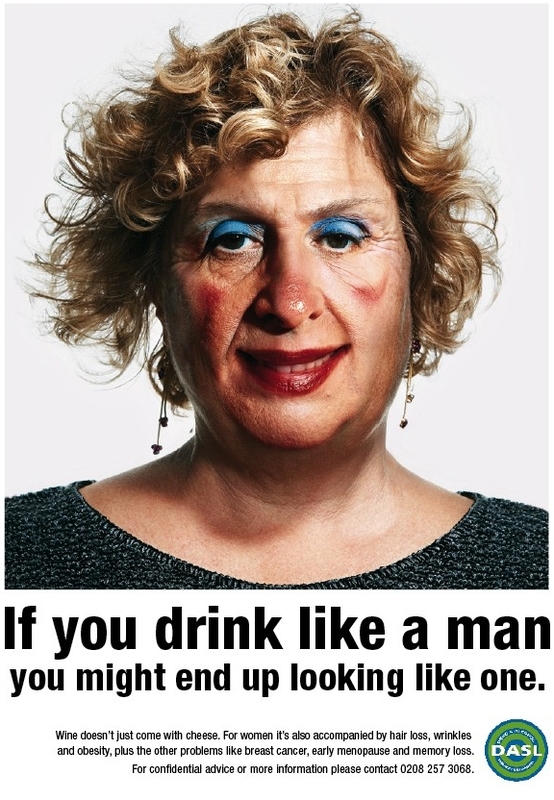 Why would want to look like this? See related post. Not one for arriving on time to visit her husband in prison, Amy Winehouse today spent more than an hour in court supporting her husband who faces charges of assault and conspiracy to pervert the course of justice.>>read more. From AdRANTs by Steve Hall May 30, 2008>>read more. 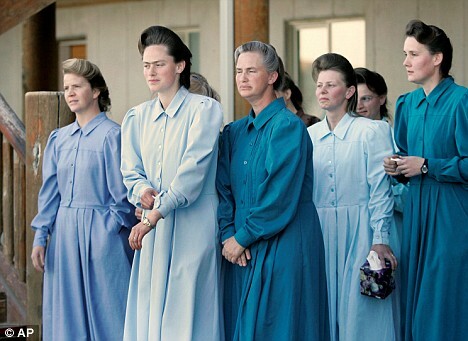 Ever notice how women, when in conflict with another, or with a man for that matter, discuss the issue at great length until every last feeling is expressed? Ever notice how men, when in conflict with another (but not a woman), just punch each other, offer up a fist bump or brush it off with a “no worries, dude?” Though some might debate the point, that’s not sexist. It’s just a natural difference in the way men and women deal with confrontation and disagreement. 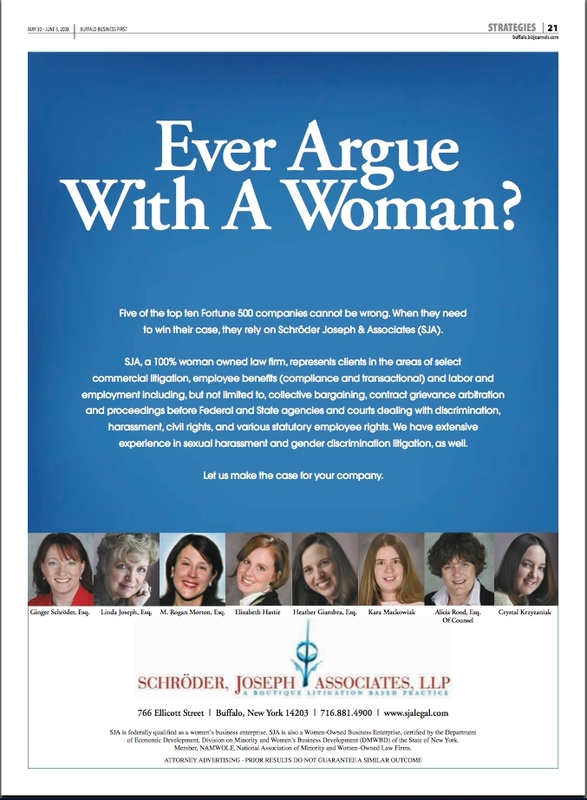 So perhaps an ad from 100 percent women-owned Buffalo law firm Schroder, Joseph Associates, LLC with the headline, “Ever Argue With A Woman,” is compelling since arguing legal issues requires ad nauseum debate to the point of excruciating insanity. In the courtroom, that’s a good thing. Not so much when you’re at home and just want to sit down with a beer and watch the game. “I’m not happy about the way the Chinese are treating the Tibetans because I don’t think anyone should be unkind to anyone else. And then the earthquake and all this stuff happened, and then I thought, is that karma? When you’re not nice that the bad things happen to you?” From The Independent By Clifford Coonan in Beijing Friday, 30 May 2008>>read more. Sharon Stone used to be a great ad for fewer wrinkles, but the 50-year-old’s outburst linking the Sichuan earthquake to bad karma because of China’s policy on Tibet means Christian Dior posters are coming down all over the Chinese capital. The French fashion house has issued an apology for Stone’s comments and pulled her from its Chinese ad campaign for anti-ageing products. And in good time, it appears, given that the Xinhua news agency has described Stone as “the public enemy of all mankind”. Stone is reasonably popular in China, having appeared at the Shanghai Film Festival last year, and she was well received for her comments about life and love, as well as her praise for China’s ancient civilisation. At the same time, the face-cream saleswoman did cause consternation for accusing people of being skin-deep in their thinking about wrinkles. But that was nothing compared to the bad karma comments. Stone said she was “deeply sorry” for causing anguish and anger among Chinese people for her candid, ill-judged remarks about China’s worst natural disaster in three decades. So far, the Sichuan earthquake has killed about 70,000 people and left five million homeless. “My erroneous words and deeds angered and saddened the Chinese people, and I sincerely apologise for this,” the Basic Instinct star said in a statement issued by Dior China. “I am willing to take part in the relief work of China’s earthquake and wholly devote myself to helping affected Chinese people.” It has to be said that her words were astoundingly ill-timed. Stone made her comments at Cannes, linking the recent disaster to China’s treatment of Tibetans during anti-Chinese riots in March. The storm of indignation in the Chinese media is reminiscent of the anger in China when protesters tried to stop the Olympic torch passing through Western cities amid a wave of protest at China’s crackdown on Tibet. From LiveScience Staff posted: 26 May 2008 ET>>read more. Flame weighs about 40 pounds (15 kg) and is 4 feet tall (1.3 meters). It moves at 1 mph and can negotiate slight steps down. Credit: TU Delft. Flame’s moving joints are attenuated by springs. An inertia sensor (called an “organ of balance”) helps keep the ‘bot stable. Credit: TU Delft A new robot that walks like humans is one of the most advanced of its kind. Attempts to get robots moving like people typically result in very stilted gaits and limited range of motion. Human walking is “really very similar to falling forward in a controlled fashion,” researchers at TU Delft in The Netherlands explained. “Adopting this method replaces the cautious, rigid way in which robots walk with the more fluid, energy-efficient movement used by humans.” The new robot, Flame, weighs about 40 pounds (15 kg) and is 4 feet tall (1.3 meters). Its got several moving joints attenuated by springs. An inertia sensor (called an “organ of balance”) helps keep the ‘bot stable. Seven motors get it all going. Flame can move at 1 mph (0.45 meters per second) and deal with steps down as long as they’re not more than one-third of an inch (8 mm). As it walks, swaying side-to-side like a flat-footed human, Flame uses its organ of balance to dictate how far apart its feet are placed, to prevent falls. Project leader Daan Hobbelen gets his Ph.D. this week for all the work. Hobbelen said Flame is the most advanced walking robot in the world, at least in the category of robots which apply the human method of walking as a starting principle. Research done to build the robot provides insight into how people walk, the researchers say, and this could lead to better training and rehabilitation equipment. From Lifescience By Rachel Mahan, LiveScience Staff Writer posted: 30 May 2008 12:02 pm ET>>read more. During adulthood, our bodies tightly regulate the number of fat cells, which could explain why it seems easy to gain back lost weight. Credit: Dreamstime.com. During adulthood, our bodies tightly regulate the number of fat cells, which could explain why it seems easy to gain back lost weight. Credit: Dreamstime.com. Want to get rid of some fat cells as you age? Fat chance. You’re stuck with the number of fat cells you have acquired by about age 20, a new study finds. Researchers have known that people gain and lose weight at least in part by changing how much fat is in their fat cells. The new finding is particularly important for obese people, who the researchers say can have twice as many fat cells as their lean counterparts. The finding also suggests that obesity in adulthood is at least partly determined by diet and exercise in childhood. Strange study To determine the age of fat cells in 35 subjects, researchers focused on a marker found in fat cells — radioactive carbon from above-ground nuclear bomb tests in the 1950s and 60s. More of a naturally occurring but rare type of carbon, called carbon-14, was produced during the testing. Bruce Buchholz, a chemist at Lawrence Livermore National Laboratory in Livermore, Calif., explained how his team used this marker to make their discovery. Our bodies incorporate carbon-14 from the food we eat, along with the vastly more abundant types called carbon-12 and 13. Since carbon-14 from the testing is decreasing with time as it mixes with the oceans, the amount of rare carbon-14 that a cell has taken up is like a timestamp for when the cell formed, Buchholz said.